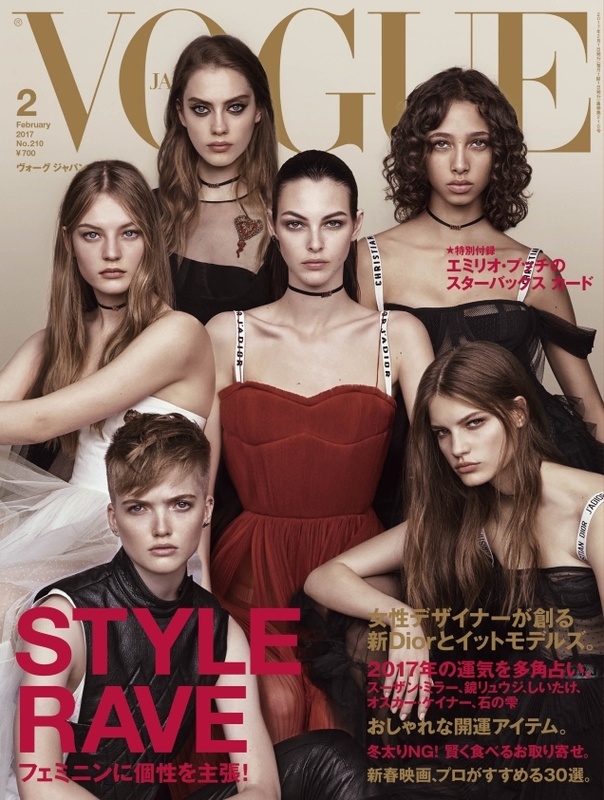 In 2016, the majority of our favorite fashion glossies seemed to shy away from multi-girl covers, but Vogue Japan reignites the trend with its February 2017 cover. The Japanese title is off to a terrific start for the new year, having given us exactly what we needed with January’s cover featuring Anna Ewers. Now, photographic duo Luigi & Iango captures a host of the industry’s rising stars including Odette Pavlova, Agnes Akerlund, Vittoria Ceretti, Ruth Bell, Yasmin Wijnaldum and Faretta, all decked out wearing head-to-toe Christian Dior. “They look too miserable,” pointed out blueorchid the second the cover dropped. “It almost looks like it was deliberate! This should only have been Vittoria, far too many girls for this cover. Yasmin looks the worst, like a corpse. And while it’s a nice coup for Dior, I don’t think the styling does the clothes any justice,” replied Benn98. In agreement over how terrific Vittoria looked was gazebo. “I love a multi-girl cover, and I don’t mind a depressing looking one. It’s all about Vittoria, the other girls are just there to frame her,” he pointed out. “Odette and Vittoria look amazing. I wish it was just them,” stated anlabe32. “And I actually love this cover, the casting, the mood, simply need this issue now,” demanded TeeVanity. Once the cover story surfaced, our forums erupted with delight. “WOWWW the editorial is FANTASTIC damn! Love it, the girls look much better there than on the cover for sure. I like this,” Bertrando3 immediately approved. “That editorial is gorgeous. Attitude. Energy. Beauty,” MON raved. See the cover fold-out in all its glory and check out Luigi & Iango’s accompanying cover story here.